YAY COOKIES! I have seriously been SO ANXIOUS to make these cookies. You see, a few weeks ago, when I was getting out Christmas decorations, I saw my grandmother’s cookie cutters. She passed away in January, shortly after last Christmas. She was an amazing cook and was always whipping up some treat for her family, friends, and neighbors. Since my family knows how much I love to bake, they thought it appropriate to give me her Christmas cookie cutters. This is our first Christmas without her, and I wanted to make these cookies as a way to just remember her during the busy holiday season. So, as I was saying, I was SO ANXIOUS to make them. I had intended to make them about 2 weeks ago, but things kept coming up. Finally the weekend of cookie-making delight arrived. I could hardly contain myself! Just ask my husband…I probably said “I can’t wait to make my cookies” at least 50 times in a 3 day span. Bake 6 to 8 minutes in preheated oven. They should be crisp but NOT brown. Cool completely. In a small bowl, stir together confectioners' sugar and milk until smooth. Beat in corn syrup and extract until icing is smooth and glossy. It should be about the consistency of Elmer's glue. If icing is too thick, add more milk. If it's too thin, add more corn syrup. Divide into separate bowls, and add food colorings to each to desired intensity. 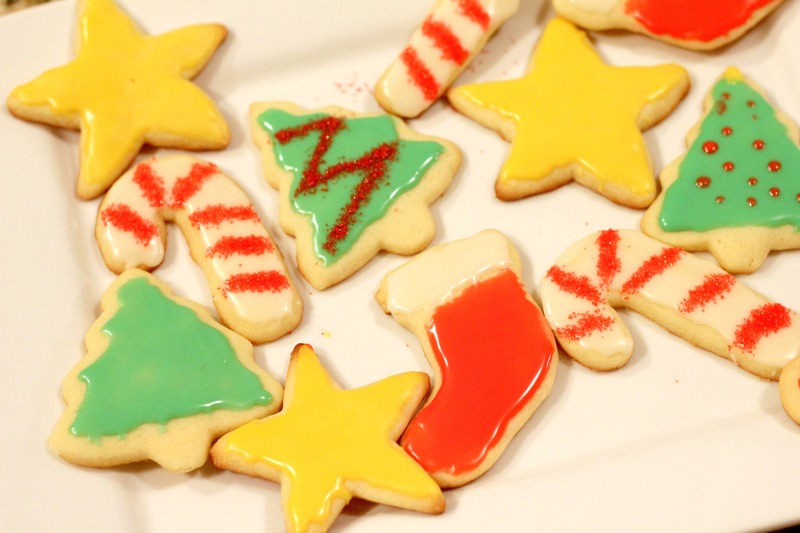 Decorate cookies with icing. Thank you! 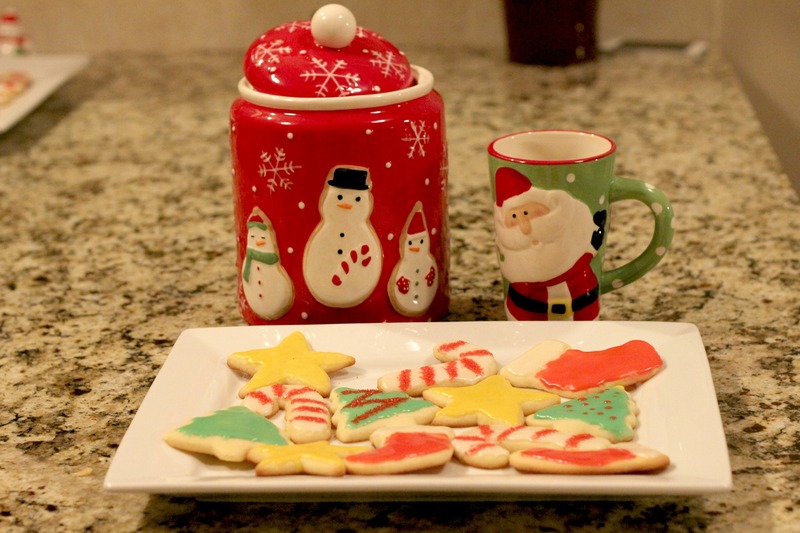 They’re certainly not the most perfectly decorated cookies in the world, but they sure did taste good, and they were lots of fun to make!